Since the 1960s and 1970s, tobacco companies have largely marketed menthols to younger people and blacks, who now smoke the cigarettes at higher rates than other groups. (Health.com) -- Menthol cigarettes now account for more than one-quarter of all cigarettes sold in the U.S. In fact, menthols -- often described as "cooling," "soothing," and "smooth" -- make up a growing share of the shrinking cigarette market. Between 2004 and 2008, the percentage of adult smokers who smoked them increased from 30 percent to 34 percent. Experts say that menthol cigarettes' minty flavor makes them more appealing to young people, more addictive, and harder to quit than regular cigarettes. Menthol is the "ultimate candy flavoring," says Phillip Gardiner, a researcher at the University of California's Tobacco-Related Disease Research Program, in Oakland. The Food and Drug Administration hasn't yet decided on whether it agrees. When the FDA was given the authority to regulate tobacco products in 2009, the agency banned cigarettes with flavors such as chocolate and fruit, because candy-like cigarettes are more attractive to kids. But menthol escaped the cut. Since then, tobacco and public health experts have said that menthols should be banned, too -- or at least regulated more strictly. The FDA's new tobacco advisory committee is currently sifting through the evidence. Short of an outright ban on menthol cigarettes, the FDA may decide to regulate their marketing and even the menthol content. The FDA committee has scheduled a second meeting on the matter in mid-July, although the committee's final recommendation isn't due until March 2011. But are menthols really worse than non-menthol cigarettes? The committee's task won't be an easy one. The opinions that physicians, public health experts, and tobacco executives have regarding menthol cigarettes seem to be stronger than the research supporting them. Tobacco company representatives have maintained that menthol cigarettes are no more or less addictive and harmful than other brands on the market -- although they are quick to acknowledge that all cigarettes are addictive and potentially deadly. The debate over whether menthols are more addictive and harmful than regular cigarettes is complicated by cultural and racial factors. Since the 1960s and 1970s, tobacco companies have largely marketed menthols to younger people and blacks, who now smoke the cigarettes at higher rates than other groups. Roughly 70 percent of blacks smoke menthols, compared with just over 20 percent of whites and 26 percent of Hispanics, according to the latest government data. "Menthol cigarettes are marketed to the most vulnerable sectors of our society, particularly starting in the 1960s," Gardiner says. "It's essentially predatory marketing." As a result, the health effects of menthols can be difficult to untangle from broader factors that influence smoking. Although blacks tend to smoke less than whites, they "get lung cancer more often and die more often than non-African Americans," says William Hicks, M.D., professor of clinical medicine at the Ohio State University Comprehensive Cancer Center, in Columbus, co-author of a recent report on lung cancer in African Americans for the American Lung Association. Research suggests that blacks and other minorities have a harder time quitting menthol cigarettes than white smokers. One study, published in 2009 in the journal Preventive Medicine, found that among nearly 8,000 current and former menthol smokers, blacks and Hispanics were 45 percent less likely to quit smoking than white smokers. It's unclear what accounts for this disparity. It may be due to unidentified cultural and economic factors, or even physiological factors. A nicotine byproduct known as cotinine "stays in the body twice as long in African Americans, and this may be a marker of greater addictiveness," says Gardiner. The research has some weaknesses, however. As True pointed out at the FDA committee meeting, it is very difficult to separate out the effects of menthol from other cultural and racial factors that may influence smoking habits and dependence. Menthol is a type of alcohol found in oils extracted from mint plants (such as peppermint). Although some tobacco products are flavored with natural menthol, most menthol cigarettes -- and cough drops and candies -- use a synthetic version. About 90 percent of all cigarettes contain trace amounts of menthol, but only mentholated varieties contain enough of the flavor for it to be noticeable. "Mentholated products of all types, whether taken orally or inhaled, are better tolerated," says Hicks. "There's less irritation and, over the short term, some soothing effect." Researchers have long suspected that the cooling sensation might make menthols more harmful by masking the harshness of tobacco and allowing smokers to inhale more deeply (or more often), but they haven't yet been able to prove it. Some studies show that menthol smokers actually inhale less smoke or take fewer puffs compared to people who smoke regular cigarettes. Experts have also argued that the menthol sensation may contribute to nicotine addiction by making the cigarettes more palatable to young people. And there is some evidence that menthols are a "starter" cigarette. National surveys have shown that teenagers are more likely to smoke menthols if they've been smoking for less than a year, and the percentage of white and Hispanic kids who smoke menthols is higher in middle school than in high school. These figures suggest that inexperienced smokers are more likely to smoke menthols, but they don't necessarily show that smoking menthols (rather than regular cigarettes) is more likely to lead to addiction. Still, one of the main arguments made by people who support a menthols ban has been that the flavoring seems to make the cigarettes more addictive and harder to quit. 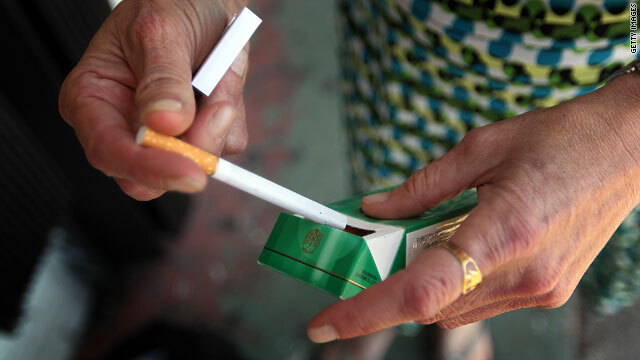 "Some studies have shown that menthol smokers have had less successful rates of quitting smoking than non-menthol smokers, feel less confident in their ability to quit, and have more relapses and quit attempts than non-menthol smokers," says Olivia Wackowski, MPH, a tobacco specialist at the University of Medicine and Dentistry of New Jersey School of Public Health, in New Brunswick. In a 2009 report to the FDA, Gardiner and a co-author indicated that this could be because menthol may increase nicotine absorption and has stimulating effects on the central nervous system. "When you reach for menthol cigarettes, not only are you getting nicotine, which activates certain sensory properties in the brain, but also menthol, which activates certain sensory activities," Gardiner explains. "That's why it's harder to quit. There's an interaction between menthol and nicotine. It's received more readily in the brain." Whether menthol actually enhances the addictiveness of cigarettes remains open to debate, however. Several studies have found that quitting is very difficult regardless of what kind of cigarette a person smokes, and researchers haven't been able to confirm that menthols have a different effect on the nervous system than non-menthol cigarettes. Still, the evidence isn't strong enough to prove definitively that menthols are more addictive than regular cigarettes, says Wackowski. Health.com: Social, sneaky, skinny -- Which type of smoker are you? "We can't say that menthol is more addictive," Gardiner agrees. "The problem is that cigarettes kill you anyway, so trying to prove that one substance is doing more harm than another has proved to be not fruitful." Is time running out for menthols? Danny McGoldrick, vice president for research for the Campaign for Tobacco-Free Kids, an antismoking advocacy group based in Washington, D.C., feels that addictiveness should be only one of the measures used by the FDA in deciding whether to ban or regulate menthols. "The FDA should look at menthol based on a broad public health standard, taking into account not only addictiveness but also increased toxicity, harm, or disease risk," he says. "The FDA needs to look at all the evidence. We could learn a lot by requiring industry to turn over all their documents and also take into account how menthol is marketed and targeted."